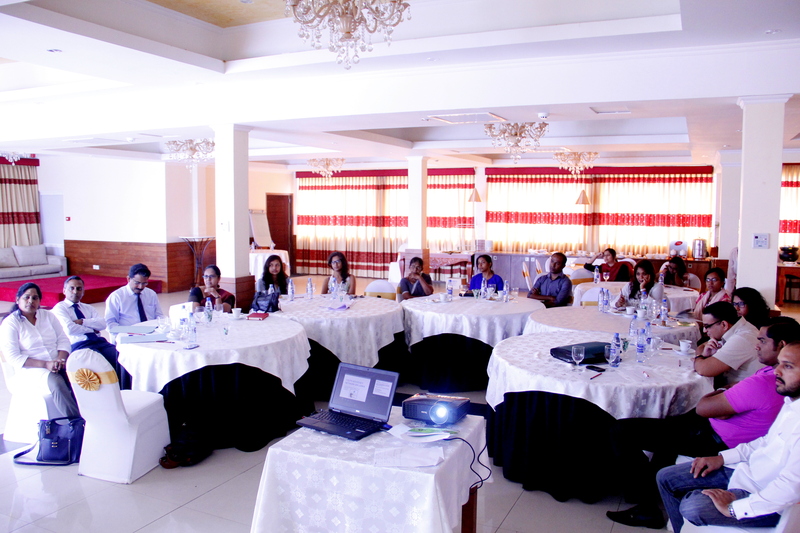 In September 2015 Youth Advocacy Network Sri Lanka initiated the National Youth champions Think Tank on unsafe abortion and network building meeting. The Youth Champions of Asia Safe Abortion Partnership and young peer educators of YPEER Sri Lanka decided to come together and form Youth Advocacy Network Sri Lanka with the focus on young peoples SRHR, bodily autonomy and gender equality. The think tank had medical professionals, researchers, economists, young journalists, ministry and government representatives, Civil society organisations, National youth bodies, a medical student, a young person living with disability, lawyers and law students present at the meeting. It was such a pleasure for us at YANSL to get participants for the meeting from organisations and bodies such as the Ministry of Health, Family Health Bureau, National Committee on women, Family planning association of Sri Lanka, Women and media collective, Women in Need, The Grassrooted trust, Action Against apathy, Media, National youth services council federation of youth clubs and more. The think tank was focused on issues related to unsafe abortion – what we as young people can do and what we need the authorities to support us with. The discussions brought up the lack of accurate information for young people on their sexual and reproductive health and rights (SRHR) and the issues related to a lack of support for health care providers as a result of stigma and legal restrictions. This diverse group of stakeholders and other supporters will hopefully increase the legitimacy of national voices and result in an increase in visibility and a change in the existing law. Here are some of the key points that were discussed and debated in the meeting. We need to target vulnerable youth and Sri Lanka is identified as a priority country on abortions by FIGO. This is a good time to take the abortion advocacy and Sexual and Reproductive Health and Rights efforts forward. Issues related to unsafe abortion can be tackled providing accurate information and services to a certain extent. Immediate need for Comprehensive sexuality and relationship education in schools was echoed by many. Workshops with women’s ministry, Media workshops for SRHR and HIV havas been happening and there are several new short films and videos on issues related to teenage pregnancy. The young journalists were particularly keen to contact several officials and ministries for interviews, access data, have press conferences. It was also highlighted that journalists and media being more sensitized, ethical and responsible when writing articles related to SRHR and gender equality related issues. It was commonly suggested to identify less progressive arguments and discriminatory myths and misconceptions related to SRHR and unsafe abortion related issues and address them with data on social media. Challenges faced by young advocates and activists in the grassroot level when working on SRHR of young people was discussed in detail where several officials offered their support to deal with some issues specially related to access and information. Importance of having a glossary and reviewing the education curriculum of young people living with disabilities to add more rights based gender responsive sexuality education into their education. Importance of having rights based gender responsive education in medical and nursing schools was highlighted. It was also discussed how we can localize Sustainable Development Goals specially related to reproductive health and gender equality after the goals are adopted.